High-quality Cochlear Implant 675P batteries delivered fresh, every other month. ($10 value) with your first shipment! Let us help you find the right hearOclub plan! How many batteries do you need each month? Not sure what battery plan is right for you? Start with our smallest plan and we can always change it if you need more batteries. Based on your answers, we recommend the following plan. Receive your batteries every other month, straight to your doorstep. *Plans are billed on a recurring basis every 2 months. If ordering multiple hearOclub subscriptions that will go to multiple addresses, please check out one at a time. Need more batteries or want to place a bulk order? Additional plans are available. Call 1-833-LISTEN2 (1-833-547-8362) or contact us for more information. 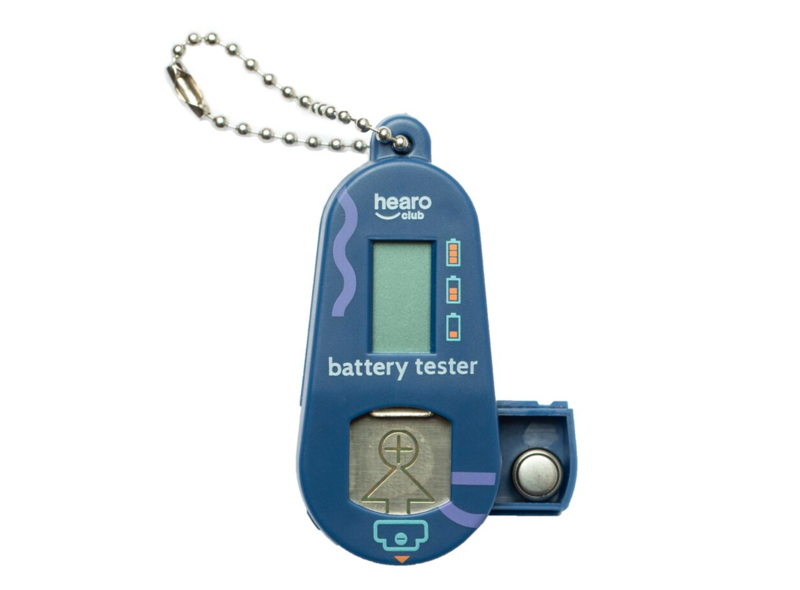 You don’t have to guess your battery’s health with our handy key chain battery tester with battery storage compartment. Test your batteries wherever you go and be prepared for your next replacement.